The Olympic games are in the air. Seriously, we aan feel it all the way up here in America! (Rio isn’t THAT far away). 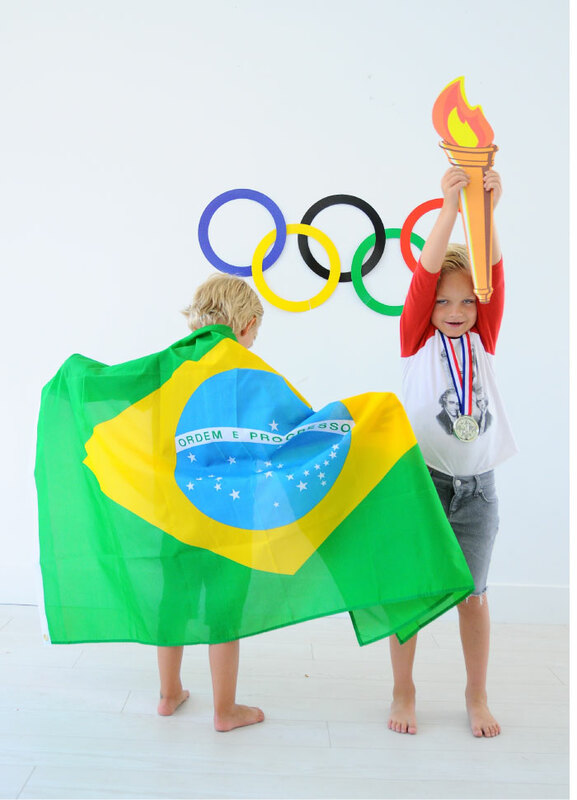 We wish we could travel to Brazil to cheer on the athletes, for now, our own little athletes in our own living rooms will have to suffice. 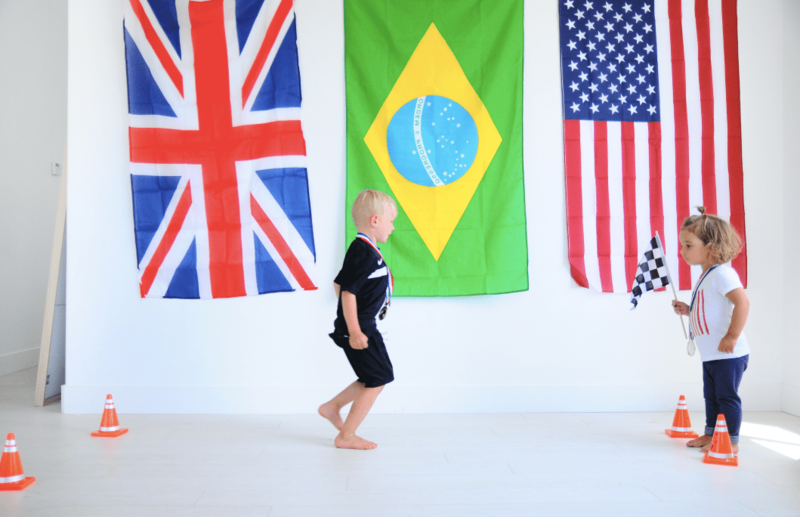 All three of us love to culture our babies, and we ourselves have been watching the Olympics our entire lives. Its been so fun to watch these kids get older, and to see them getting inspired by the talented and strong athletes that have been training since they themselves were our little ones age to be able to participate in the Olympic games. 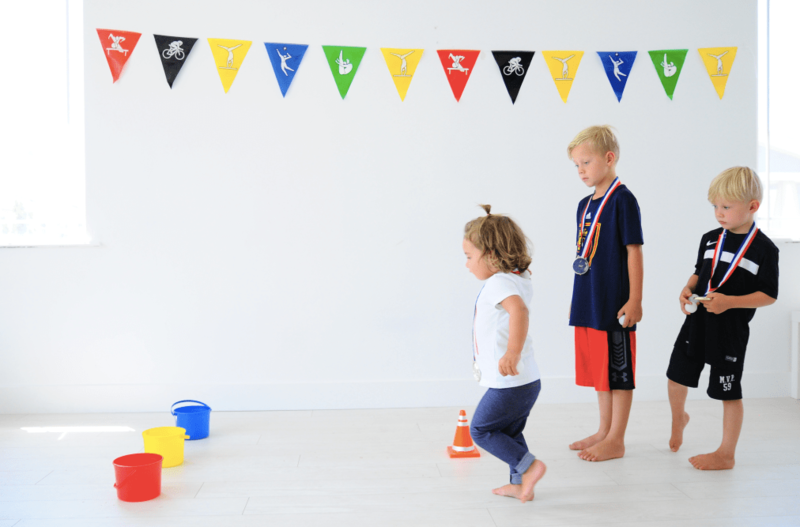 With the help of Zurchers Party Store, we put together some mini Olympic Games for our tots. It was so simple. Gather up some little games, click here for the anthem, and you’ll tear right up. We promise. Tossing some balls into buckets (make the older kids stand a few feet back) Hopping on one foot across the room. 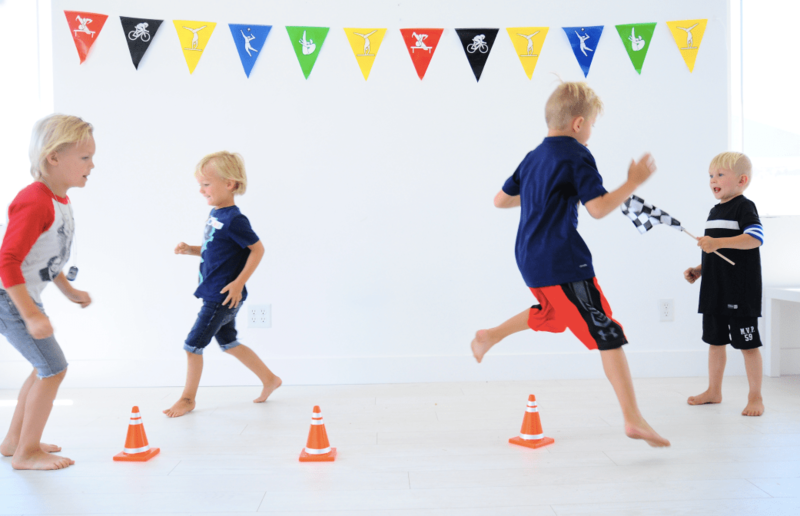 Create an obstacle corse with cones, plastic dishes, or cups! Zurchers has a ton of country and state flags for $8.00 in store and online! 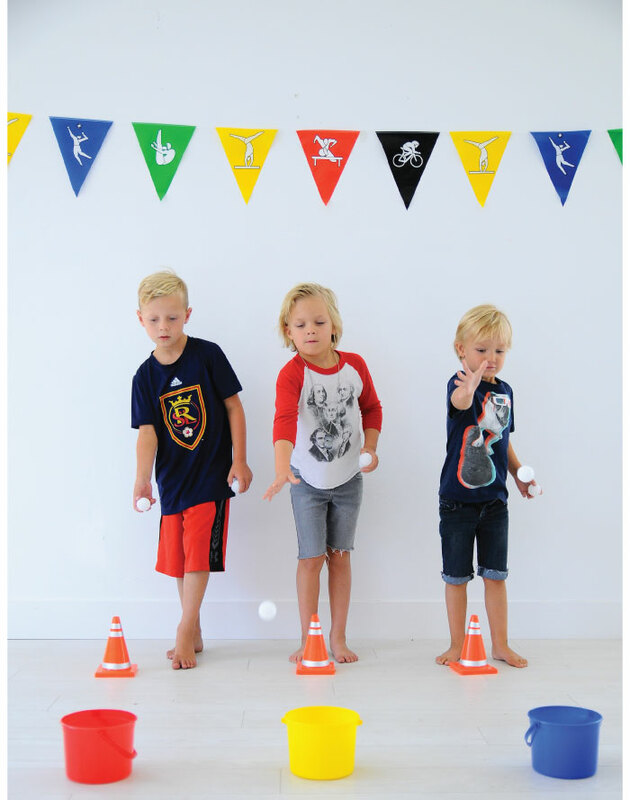 Check out all their International party supplies for your own Olympic party here! Treats in the end, of course. Along with those gold medals. Hayes’ forefather tee from Wee Rascals. Check out there other patriotic options here! This patriotic posse tee is hilarious! Nordstrom Sale – Home city select SALE! 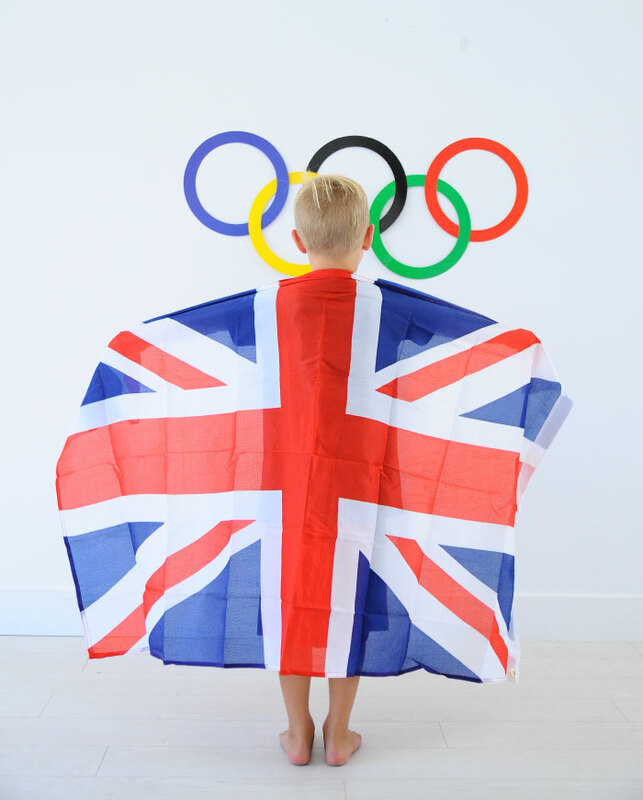 I love all these ideas- what’s more fun than the Olympics? I’ve put together 14 illustrated pages of fun for the upcoming summer games. 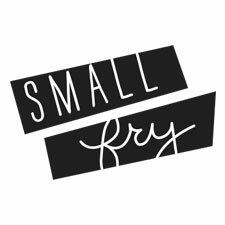 If you’re interested, I’m happy to send one over for the Small Fry gang.